Sample project for BMF055 – a custom programmable 9-axis motion sensor with Cortex M0+ microcontroller. This project demonstrates how to configure BMF055 sensor to read raw sensor data and print the results in a terminal software running on a host computer. 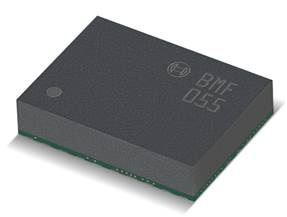 To install BMF055 Example Project - Data Stream, download this extension and open it. It should install into Atmel Studio. Please make sure you have the necessary version of Atmel Studio installed in your PC.